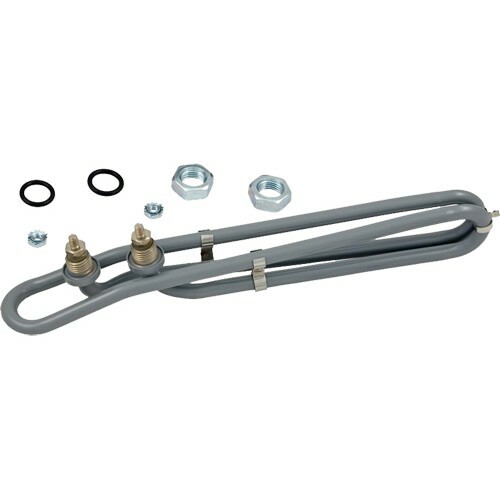 Spa Heater Element Fits most Flo-thru hot tub heaters. Incoloy 800 sheath provides superior corrosion resistance, along with epoxy potting (EP) top and bottom for the ultimate in protection. Coated for added protection from corrosion and calcification with proprietary ET material with PTFE (teflon). 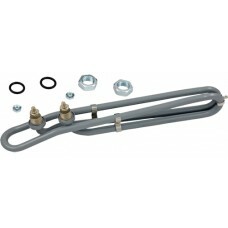 1-1/4" Terminal Spacing is standard, 10.5 inch overall length. shown with 3 SS clips.